Influencer marketing is a growing industry and is here to stay. Thanks to the development of social media platforms, we’ve seen an influx of new “celebrities” with carved out niches ranging from e-gaming to fitness. Long gone are the days where you had to work with a “traditional” celebrities (professionally athletes, actors, etc.) in order to receive some sort of brand recognition and get more eyes on your business. A lot of influencers have the power to take a business from 0 to 1,000,000 – or 1,000,000 to 0. Remember the infamous Kylie Jenner tweet about Snapchat? However, as the industry is growing, there is more to learn about the space and the proper ways to execute an influencer marketing strategy for your business. Whether you are a fortune 500 company or a small fashion upstart, an influencer strategy can help your business achieve a number of different goals. The first step to creating an effective influencer marketing is understanding your goals. An influencer strategy can be very diverse. There are different ways that you can partner up with them and utilize their social prowess and the direct access they have with their consumers. Understanding your goals can help you avoid unnecessary spending on a campaign that doesn’t generate the ROI you’re looking for. These goals typical fall under 3 buckets: Brand awareness, Engagement, and Sales. Having a goal established is the most important piece, now it’s time to start understanding the type of influencers you’d want to partner with for your campaign. Too often there are influencers who clearly partner with a brand, just for the check. And there are also brands who only partner with an influencer because they aren’t aware of “fit” or that’s the only influencer they can get in contact with. 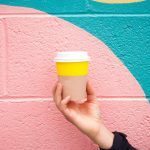 If you’re a new coffee shop that has a nice working space, you’d probably want to partner with business influencers with a strong local presence as one can assume there are a ton of entrepreneurs who look for a great place to do work and hold meetings. 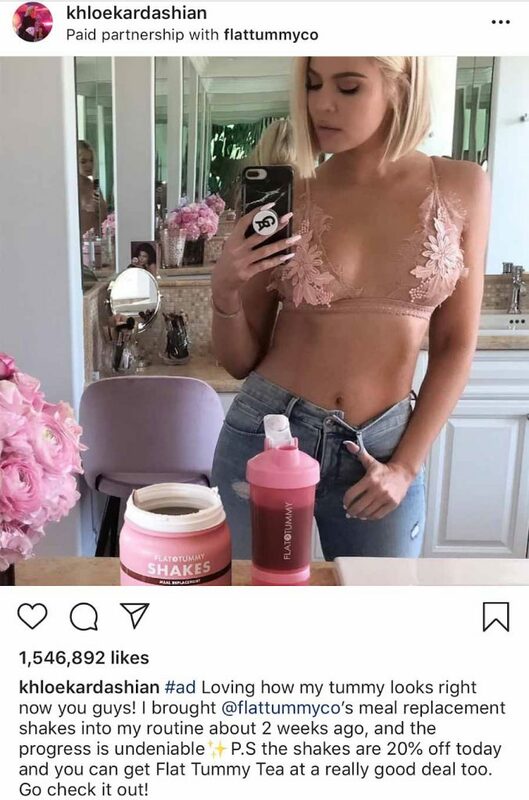 Khloe Kardashian has been at the forefront of the media for many things – but one of those “things” has to do with her weight loss, so a partnership with flat tummy tea makes sense. Although she’s a media brand, people are also gravitating towards her to learn how she was able to get into such great shape. Putting together a great deal is also very important and will help shape the type of campaign you create. Usually, influencers work on a pay-per-post model. However, there are other ways to engage and partner with them, such as creative revenue shares (% of the revenue they bring in for a product or pay per promo code usage). Once you’ve secured the payment method, it’s time to think about how you’d want to work with each influencer. Some influencers are better at giveaways while others can get their fans to use their discount code. I would advise against just having them post and tagging your business. I would focus on sending people directly to a landing page as you’ll have more visibility into the data and the effectiveness of their influence. If they’re willing to use a dedicated link, that’s always great as well. You could easily track that outside of the social channel they’re using. It’s important to ensure that the influencer you’re looking to work with actually likes your product. If they like it, they’re more than likely to give you more authentic reviews and posts. Lastly, you want to analyze the results of your campaigns with the influencers and watch closely to those that perform well and those that do not. In the beginning, a lot of this will be trial and error. It’s always best practice to focus on your metrics versus their metrics. For example, let’s say you’re Flat Tummy Tea and you partner with Khloe Kardashian. Your goal is to increase brand awareness. Your KPI’s really shouldn’t be the number of views, comments, and likes that she receives on her post. She’s a big star and people will like her content for the sake of it, and comments can be random. I would rather focus on the number of page views you get on Instagram, the amount of website traffic you receive and the number of new fans/likes you get across your own social platforms. That’s the true indicator of whether or not her influence is right for your brand and is someone you should work with in the future. Regardless of how “well” an influencer performs, you should always try your best to keep a good relationship with them. People can become megastars overnight in this world, and it’s best to leave things on a good note with someone for potential future business. Putting together an influencer marketing strategy is really exciting and can help you achieve your digital marketing goals for the year. Follow these steps as a guide and framework to help with crafting a strategy that works best for you and your team. There’s no one “right” way, so feel free to get experimental with these core principles in mind. You don’t have to do it alone Blueliner can help. Contact us with your Influencer Marketing or Social Media needs and be ready to take your business to the next level.